Piston Ring goes live in Winnipeg with indago WMS. Piston Ring is proud to be Manitoba’s largest home grown automotive part supplier. This third generation family company has been operating for over 65 years with a supply of aftermarket automotive parts that is unparalleled in the market. Piston Ring is a proud member of the Aftermarket Auto Parts Alliance. Piston Ring uses Vision as their ERP. Vast Automotive's Montreal, Brampton and Fredericton distribution centres go live with indago as their WMS. Vast-Auto Distribution is a leader in the distribution and marketing of automotive parts for auto parts stores in Eastern Canada. Operating Auto Value, Mister Muffler, Auto Mecano and OCTO Auto Service Plus banners, Vast-Auto offers its customers a complete business solution. One Stop goes live at their Denver distribution centre with JMO's indago WMS. JMO is please to be working with One Stop's Denver location to provide a complete WMS for picking, packing, receiving and inventory management. Replacement Parts Inc/ Parts Warehouse Inc. goes live at their distribution centres with JMO's indago WMS. With almost 100 years in business, and as one of the five largest, privately owned parts store operations in the country, JMO is pleased to work with RPI to improve efficiency as the distribution centres supply 171 RPI locations, as well as servicing 176 Bumper to Bumper locations. RPI uses Vision Epicore as their ERP. Rodatech Automotive goes live with indago WMS. Rodatech supplies customers with an extensive product line of high quality auto parts from their distribution centre. The team of skilled professionals provides high quality service. SAE goes live with indago WMS. Sturdevants' Auto Electric Warehouse is the largest supplier of auto parts and accessories in the region. 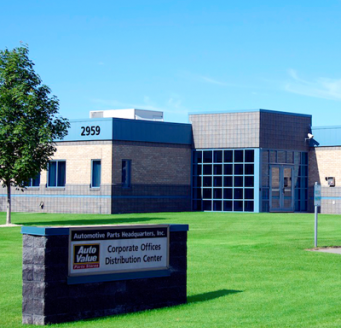 Sturdevant's Auto Parts operates 46 locations throughout South Dakota, North Dakota, Minnesota, Iowa, and Nebraska. In addition, Sturdevant's S.A.E. Warehouse provides parts to more than 60 Pronto affiliated independent auto parts stores and other independent locations. SAE uses a custom ERP. Oct 9 2017Neu Tool & Supply Corp.
Neu Tool & Supply goes live with indago WMS for receiving operations. Neu Tool & Supply is an independent, family owned warehouse distributor supplying clients ranging from mobile and industrial tool distributors to parts and paint stores. With thousands of items available from hundreds of suppliers, Neu Tool & Supply operates a full warehouse distribution centre. Neu Tool & Supply utilizes AutoLogue as their ERP. Slack Auto Parts goes live with indago WMS. Slack Auto Parts runs a 24,000 SF distribution center in Buford, Georgia to service their stores, as well as independent auto parts stores. The company is a shareholder in Aftermarket Auto Parts Alliance, a leading automotive buying and marketing group.